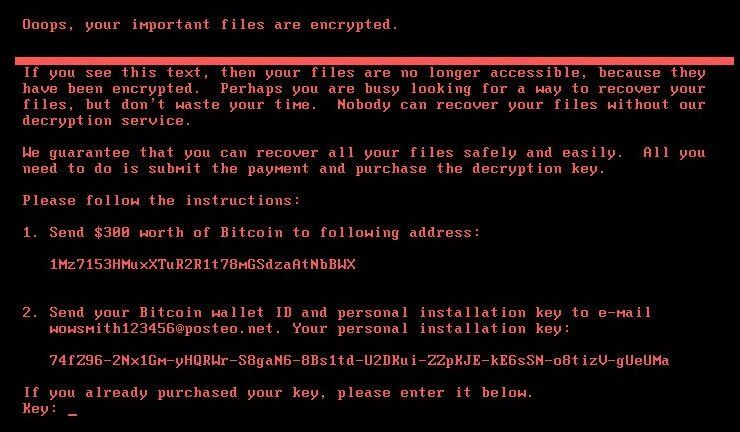 Oops, your important files are encrypted (Petya) Ransomware Virus is one of the most dangerous viruses that are being distributed at the moment. It shut down numerous critical and industry facilities all over the world and has been labeled as one of the most advanced iterations of the Petya malware family. Read our in-depth removal guide to learn more about it and how your computers and data can be recovered. How Does Oops, your important files are encrypted (Petya) Ransomware Virus Infiltrate the System? The Oops, your important files are encrypted Petya Ransomware Virus is being distributed using several different main methods. 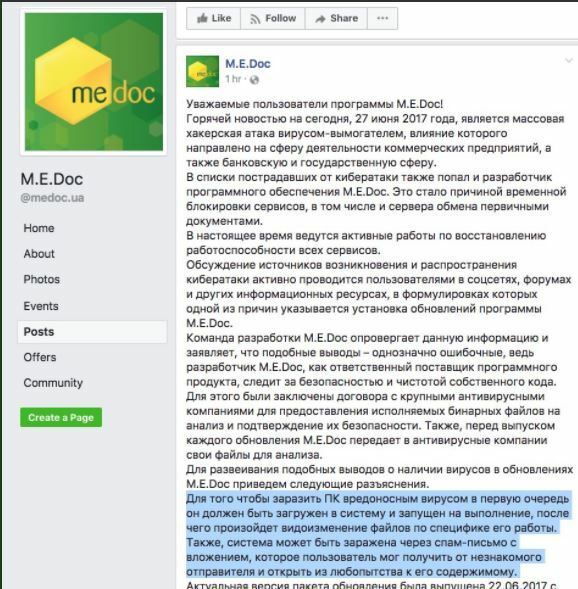 The majority of victims from Ukraine were lured by a dangerous software update for one of the popular accounting application used by businesses – M.E. Doc. The computer criminals were able to infiltrate the software vendor’s update servers and modify the binary files issued to their clients. As a result the ransomware was bundled and delivered to many machines in the country. Its important to note that this is not the first time a dangerous ransomware virus is being delivered through infected payloads. The M.E. Doc software has been used to spread another malware in the past, namely the XData ransomware. According to the statistical data gathered from the first night of attacks the majority of the attacks are reported as originating from Russia and Ukraine where the application is popular among business owners. The researchers traced the ransomware as utilizing a worm-like behavior that allows the ransomware virus to locate other nodes on the local network. By using a password harvesting module it is able to infect as many computers as possible. Its important to note that the Petya ransomware virus is able to penetrate the network using the WMIC (Windows Management Instrumentation Commandline) utility. This is done by using a dump program called Mimikatz (or similar). Effectively this allows the malware to infect even those computers that are patched and protected against the Eternal Blue vulnerability. It is possible for the computers to protect themselves against this method by blocking the execution of the process explorer and WMIC tools that are used by the exploit. This is possible by blacklisting them using the Windows registry. Open the “Run” dialog by opening the Windows Menu and typing “Run” or press the “Win button + R”. Navigate to the “HKEY_LOCAL_MACHINE\SOFTWARE\Microsoft\Windows NT\CurrentVersion\Image File Execution Options” location. Create a new registry entry by right clicking and choosing “New –> String Value”. Right click on the value and click “Modify”. Enter “svchost.exe” and press “OK”. 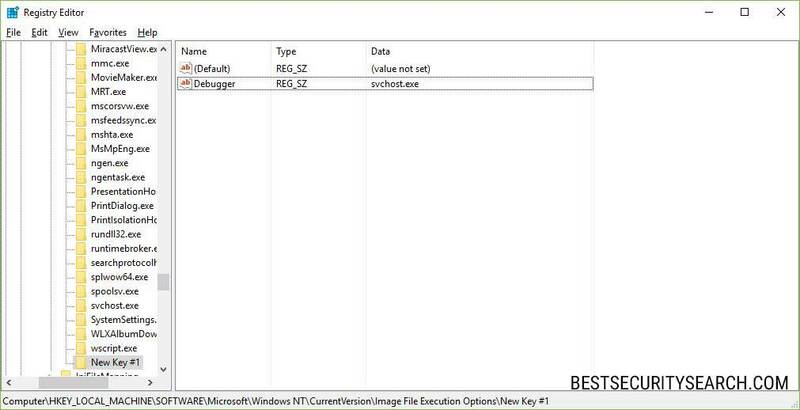 The same procedure should be done for the wmic.exe key. The other major intrusion mechanisms is the use of the infamous exploits ETERNALBLUE and ETERNALROMANCE. The first one is known as the main module that is used to infiltrate computers with the WannaCry ransomware. The vulnerable component is the Samba file and network sharing protocol, namely its version 1 implementation (SMBv1) in the Microsoft Windows operating system. The new Petya ransomware virus is different from WannaCry as it spreads only through compromised internal networks and not the Internet. And while the WannaCry ransomware was spread to a small number of hosts and then spread rapidly through infections, the new Petya virus strain is being launched in a large-scale attack. There are also reports of email spam messages that deliver the new Petya ransomware virus samples. The security researchers presume that this is a secondary option as such distribution tactics are not effective against facilities, government institutions and companies. They are usually made with social engineering tricks that blackmail the victims into infecting themselves with the malware. This is achieved by using text and graphics derived from legitimate sources. In most cases the Petya ransomware virus is distributed as either file attachments or linked in the body contents. In other cases the criminal developers can opt to use payload mediums. They are software bundles or infected documents that rely on user interaction. Examples include spreadsheets and rich text documents that feature built-in scripts (macros). When the computer users open the files they are presented with a prompt that asks them to run the scripts. If this is done the Petya ransomware virus is downloaded from a remote server and the infection is started. Upon infection the new Petya strain initiates several preliminary checks. One of them checks the host to determine if it is a real device or a sandbox environments. Such instances are used by programmers and security experts to analyze the captured viruses. The Petya ransomware can detect systems such as debugging environments, honeypots and virtual machines. The virus will automatically shut down and delete itself from the compromised system to conceal itself from detection. Detailed system information is then retrieved from the computers. The updated Petya ransomware variant can harvest data such as the installed components and software on the compromised machines, as well as their configuration. The physical drives are scanned, as well as any connected removable storage devices and accessible network shares. Based on the harvested data the virus may display the appropriate ransomware note. It may either be built-in or translated using web services in real time. Previous large-scale attacks use the language as the means of sorting out the intended targets. The language data can be used by the hackers to plot out an upcoming attack. The gathered statistics can be useful to the criminals in refining their campaigns. Other harvested data include the following: machine time, timezone, system locale, Windows settings, computer name, registered users, installed software and etc. The updated Petya virus contains a network module that alerts the remote hackers by sending a control message (beacon). The signal confirms that another machine infection has been complete. We may see new strains of this updated Petya ransomware that feature Trojan functions. This would allow the hackers to take over control of the machines, execute arbitrary commands and steal valuable data. After this is done the new Petya ransomware virus starts its encryption engine. It targets the master boot record (MBR) and then installs a schedules task which reboots the computer after one hour by utilizing the schtasks.exe system service. When the system is rebooted the ransomware message is displayed on the computer’s screen as the modified MBR (master boot record). may take several hours to complete. It is strongly recommended to let it complete. The Petya ransomware virus does not permit the Windows operating system to load as it has overwritten and deleted the boot manager. As a result the computer and its associated files cannot be used if the ransomware has not been removed completely by a quality anti-spyware solution (see our in-depth instructions below). There is a slight chance to recover part of the affected data. This is possible by plugging out the power card and then booting from a Windows recovery disk and issuing the commands related to boot restoration. However only the combination of a quality anti-spyware solution and a professional-grade data recovery application can remedy the infection. Petya ransomware displays the famous “Oops, your files have been encrypted …” or the “Ooops, your files have been encrypted” (with three “o” letters) that are associated with other dangerous viruses as well. The Petya virus is able to spawn its own processes. In addition to the inflicted damage so far the threat also encrypts file type extensions based on a built-in list. The used exploits are modified to work in the best possible way with Petya’s engine. Some of the resources are signed as being distributed by Microsoft. The ransomware engine creates the private decryption key in a secure way that does not permit the victims to unlock their computers by themselves. A low ransomware sum of 300 US Dollars is specified. As usual the payment method is the Bitcoin digital currency where transactions cannot be traced to an individual or group. In addition cyber security experts were able to shut down some of the email addresses associated with the first attack campaign. This however did not stop the hackers from receiving large amounts of ransomware fees. According to one of the reports the hackers behind the Petya virus were able to gain about 6000 US dollars from one of the addresses alone. Several automated taller machines (ATMs) stopped working in Ukraine as part of a large network attack. According to several reports the Chernonyl nuclear power plant and its associated facilities fell victim to the Petya virus. Since the incident it does not work, however the radiation control controllers were infected. As a result the workers were forced to manually monitor the facility. Several of the world’s largest companies in their respective industries were impacted. The list includes Maersk (the Danish Shipping company) and Merck (pharmaceuticals industry leader). The Rosneft Russian oil company also fell victim. So far more than 14 countries have been impacted. We expect to see more infections as the virus unfolds in the next few days. WARNING! 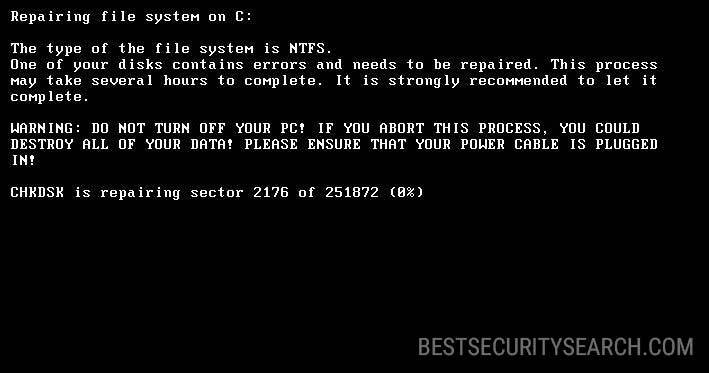 Manual removal of Oops, your important files are encrypted (Petya) Ransomware Virus requires being familiar with system files and registries. Removing important data accidentally can lead to permanent system damage. If you don’t feel comfortable with manual instructions, download a powerful anti-malware tool that will scan your system for malware and clean it safely for you. WARNING! All files and objects associated with Oops, your important files are encrypted (Petya) Ransomware Virus should be removed from the infected PC before any data recovery attempts. Otherwise the virus may encrypt restored files. Furthermore, a backup of all encrypted files stored on external media is highly recommendable.